A new standard in walk around covert video is here - Now with direct Point to Point Wi-Fi and HD 1080p video resolution! This item is a game-changer - you can drink your coffee while recording video. A high-end, high definition covert DVR built into a coffee cup lid. 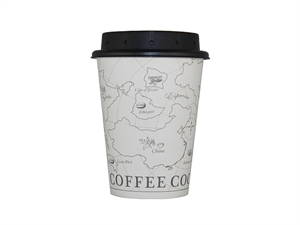 Just order a cup of coffee or use standard coffee cups, pop the lid on the cup and you are ready to record high resolution covert video. The coffee cup lid features one button recording and records in 1080p video resolution at 30 frames per second. The camera lens is highly concealed and ideal for both indoor and outdoor surveillance recording.